i. That the Constitutional Charter drawn up by the duly appointed Constitutional Council under mandate of the Governing Council of the Order, confirmed in writing by the Temporal Protector, and unanimously adopted by all members of the Governing Council entitled to vote at its meeting held in Prague on September 21 2006 is, as approved by the 2006 Chapter General, the sole Constitution Governing the Order. ii. That the temporal protection of the Order guaranteed by H.R.H. the Count of Paris, Duc de France, Head of the Royal House of France, as its fons honorum assures the traditional and historical legitimacy of the Order, with the added grace of ensuring that The Order is not in the patrimony of the Royal House of France. iii. That this sole and unique legitimacy of the Order is represented exclusively by the Grand Master of the Order and provides the Order, according to ancient tradition, with its sole Supreme Head. iv. That the unanimous and lawful election by all members of the Order entitled to vote in the Chapter General held in 2004 in the Chateau Royal de Blois of H.R.H. Prince Charles-Philippe d'Orléans, Duc d'Anjou, as the legitimate and legal 49th Grand Master of the Order. v. That according to The Constitutional Charter Article 20, paragraph 20.1 and to article 24, paragraph 24.6 H.E. Jan Count Dobrzenský z Dobrzenicz was lawfully elected by all members entitled to vote in the Chapter General held in November 2010 in the Chateau La Ferté near Orléans and installed in the Cathedral of Orléans as the 50th Magnus Magister circa et ultra maria, Praeceptor Boignaci. vi. That the Order professes and continues to maintain its historic ties with the Roman Catholic Church and its Spiritual Protection, thus ensuring the authentic ecumenical character of the Order, whose members are drawn from the Catholic, Orthodox and Protestant traditions as a Christian Brotherhood. vii. That all members of the Order remain free to practice their Christian Faith according to the ecclesiastical tradition of their choice, in ecumenical harmony with their fellow brothers and sisters, and for the greater glory of God and the service of the Order. viii. That all who are loyal to their investiture oath of obedience to the hierarchy of the Order remain honourable members, fulfilling the spiritual, charitable, and traditional aims of the Order. In Consequence of the above, The Military and Hospitaller Order of Saint Lazarus of Jerusalem neither authorises nor has any relation with any association or self-styled Order which, though representing itself with similar names, customs, or symbols, is not under the jurisdiction of the sole legitimate Grand Master of the Order, H.E. Jan Count Dobrzenský z Dobrzenicz, 50th Grand Master. A list of such associations, which sow confusion in the public perception and thus bring themselves and the Order into disrepute, is maintained by the Grand Secretariat. They, and they alone, bear the full responsibility of their acts. 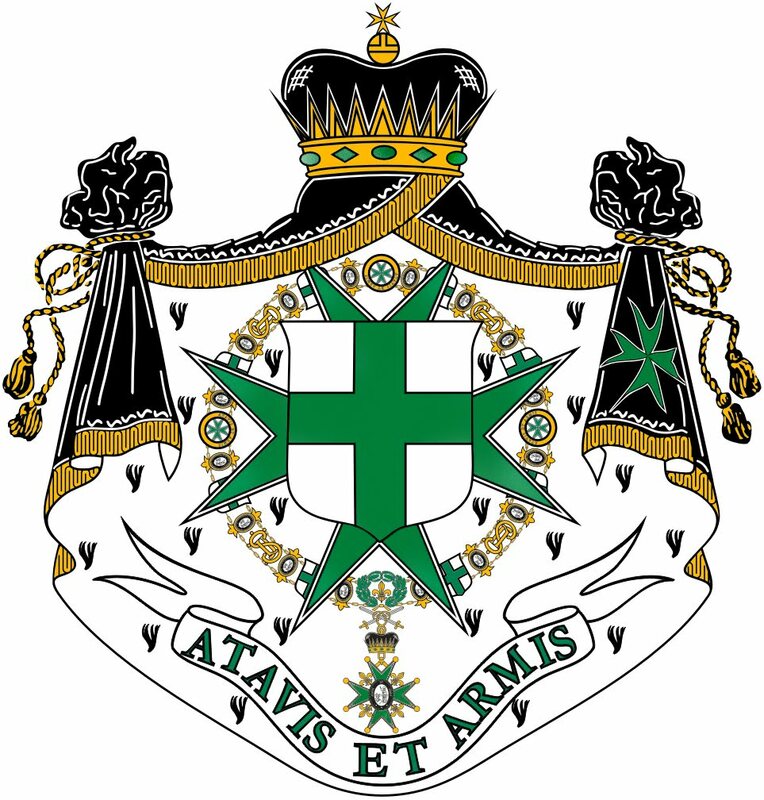 The Order, its Officers, and Members strongly condemn those who under the pretext of the Green Cross indulge in words and actions that, in the end, replace the true raison d'etre of the Order of Saint Lazarus of Jerusalem, which is to assist the Poor, the Sick, the Needy, and especially those who are in need of a Compassionate Heart. Proclaimed in the month of February in the year of Our Lord 2011.